This was the original Fort Mill Town Hall on Main Street with the infamous whittler’s porch. It was also the home of the Fort Mill Savings Bank with Samuel E. White as President and John M. Spratt as Vice President. After the town hall and bank moved to other locations it was used as a Café. In the early 1900s it suffered extensive damage during two of the Main Street fires. 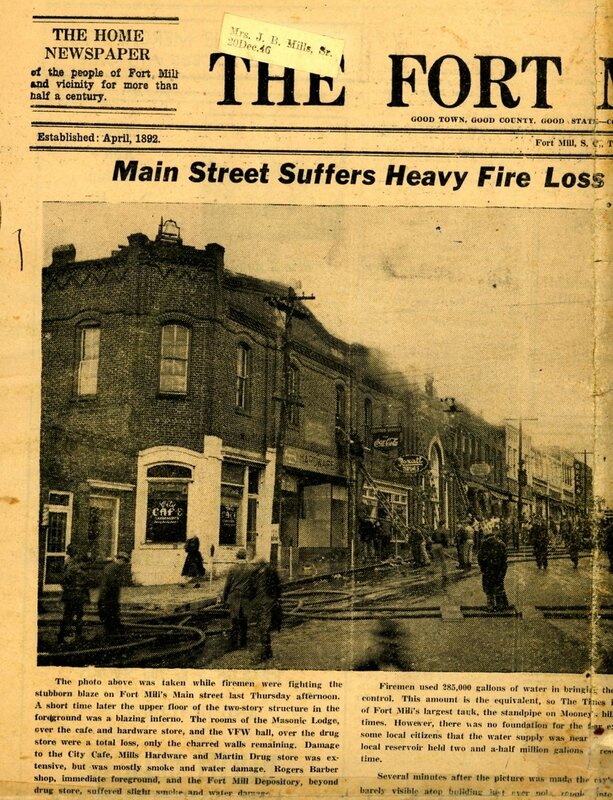 It was also home to Helm’s Barber Shop, Western Auto and Tony’s Pizza before it burned to the ground in 2007. 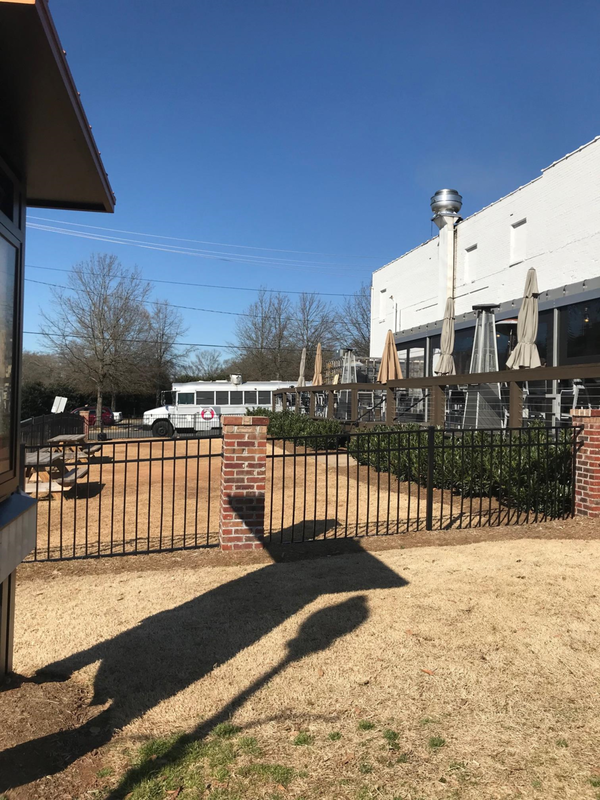 It is now the fenced in grassy area of Hobo’s and their side porchwhere you can enjoy a meal overlooking Confederate Park and the Bandstand. The original Town Hall was also home to the Savings Bank of Fort Mill. A porch ran along the side of the building where men would gather to whittle and chew tobacco until they were moved to the new Bandstand. Later the building would house the Café. This building burned in one of the many Main Street fires and today is used as a grassy area and deck for Hobo’s Restaurant. 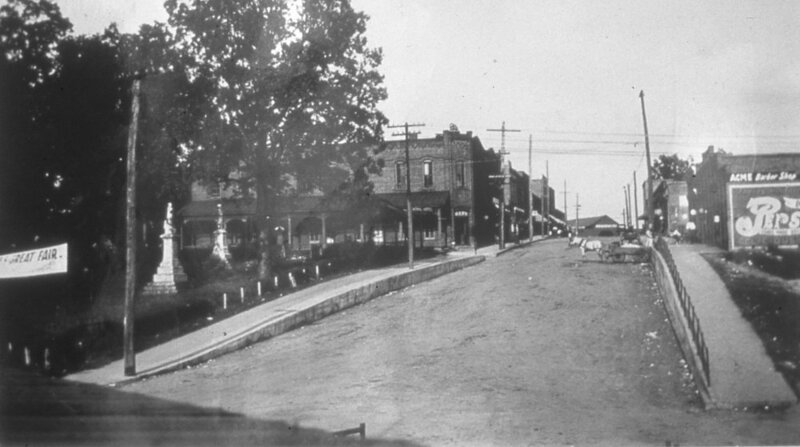 The Central Hotel was located behind Town Hall in what is currently the downtown parking lot.